Vehicle-related open hardware projects, for both manned and unmanned vehicles. Link to source and schematics Open source hardware and software implementing OBDII tester for cars. Two versions one using a PIC microcontroller and one using an AVR microcontroller. I have created a web site where I am going to post my projects, mostly electronic but also some software. So, to start, if anyone like to enhance tail light on his motorcycle - welcome to BoldLine.org. P.S. I don't know if you guys have a some kind of formatting standard here. So, if I posted this incorrectly could someone correct me, please? What kind of electronics are small enough to fit into a small hobby model rocket? drive (servo) commands to the rudder. RCAP Documentation at Wikibooks , and RCAP PCB layout at Sourceforge . What sort of electronics are useful mounted to a bicycle? Does it make any sense to mount the display on the bicycle helmet rather than on the handlebars? speed (miles, kilometers, and wheel RPM), trip distance covered, trip time, total distance (odometer), elapsed time and calories burned. "Bicycle Speedometer Project" at the "solarwind" blog. A data logging tool for the bicycle by Wolfgang Strobl 1998: a PIC processor that interfaces between a reed contact (wheel revolution sensor) and a standard serial interface (to a handheld computer or PDA). mentions connector problems -- have USB connectors solved this problem? "Sensors Linked To On-Board Bicycle Computer Could Make Riding Easier"
BEHEMOTH (Big Electronic Human-Energized Machine... Only Too Heavy). The people at OpenROV are working on open source underwater robots for exploration, education, and adventure. Several people at DIY drones and elsewhere are working on a UUV: unmanned underwater vehicle. See ArduRov and  and  and  and . "The Yellow Submarine" built by Ilan E. Moyer is a relatively small, low-cost UUV. "OpenProp is free software for the design and analysis of marine propellers and horizontal-axis turbines." "MIT Sea Grant Sea Perch Program"
FIXME: should Tulsa robotics clubs go here, or at Tulsa electronics club#Tulsa robotics groups? Murilee Martin. "If You Can't Buy It, Build It: Wanky The Safety Cat". "Any Thoughts on Wanky the Safety Cat?". "What Does A High End Camera Company Have To Do With Old Turn Signals?". EV production wiki discusses several electric open source vehicles. the OScar project is developing an open-source automobile. Will it get its own wiki? 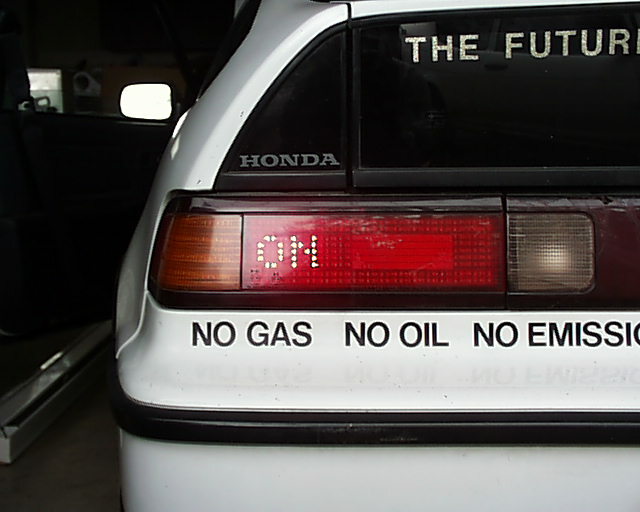 perhaps at Open Source Ecology: Open Source Car? Are the designs for General Motors' first all-electric car -- the Lunar Rover -- available? Are the designs for any of the electric cars mentioned in "Wikipedia: land speed record" available? the Electric Unicycle: the eunicycle. OpenUAV, Open Source UAV Project: "All source code/hardware schematics are open source (GPL) and can be freely downloaded from this site." DIY advanced high performance electric vehicle conversion project. The stop light text matrix is a pretty cool project all by itself. "Smart Brake Light System Would Provide More Information To Drivers"
Openflight http://openflight.org/ wiki: "Crowdsourcing the flying car - collaborative design of flying cars"
Massmind: "PIC_k You Brains" has a long thread on a rocket-launch computer including a big count-down display, ignition control, and various safety features. Infineon has information on "Automotive Electronics"
Panacea University has several open-source projects, some of them involving vehicle electronics. SourceForge: FreeEMS: A free and open source Engine Management System including both hardware and software design. Also has a FreeEMS wiki. Apparently somehow related to http://DIYEFI.org/ ? Is there a more recent version of the information in the 2008 backup? RCAP2 is a Remote Control AutoPilot for model airplanes, cars and boats. Uses a PIC16F876 to interface between a GPS serial port and RC servo motors. Mike Pawlowski released the original version as open hardware. Also uses a PIC bootloader. RCAP firmware at Sourceforge. Xarias is an embedded car computer system. It reads data directly from the sensors -- speed, rpm, fuel injectors, etc -- and displays speed, fuel consumption, engine RPM, internal and external temperature, journey time, distance, average speed and fuel consumption, total fuel consumed, cost, etc. Xarias is based on the Atmel ATMega32 MCU. The firmware is in C and is open source (GPL). All PCBs were designed using open-source gEDA software (schematic and PCB layout). OpenGage measures miles per gallon fuel efficiency. Open source. Pegasus HAB Project wiki documents the Pegasus High Altitude Balloon project. Multiplo is apparently an open-source robot building system. Via "Build your own robot with Multiplo"
"er9x" is open-source custom firmware for the Atmel AtMega64 inside a Eurgle/FlySky/Imax/Turnigy 9x r/c Transmitter. The hardware includes 2 sticks, 3 pots, 7 switches, and a 128x64px screen. (via "Robotics: Questions about quadcopter and radio controller"). People are also publishing more-or-less "open hardware" mods to get it to do things it was never designed to do: Hardware Mods "9x radio Hardware Mods". "Wood gas vehicles: firewood in the fuel tank": "During the Second World War, almost every motorised vehicle in continental Europe was converted to use firewood. ... Wood gas cars ... Wood gasification"
This page was last modified on 31 August 2016, at 21:28.